I am charmed with me the style of drawing. ＠Daniela — yes, I think the drawing is nice too. The two guys caught my eye. I have a soft spot for guys with eye-patches. I'm also intrigued by the idea of a story on an airship. 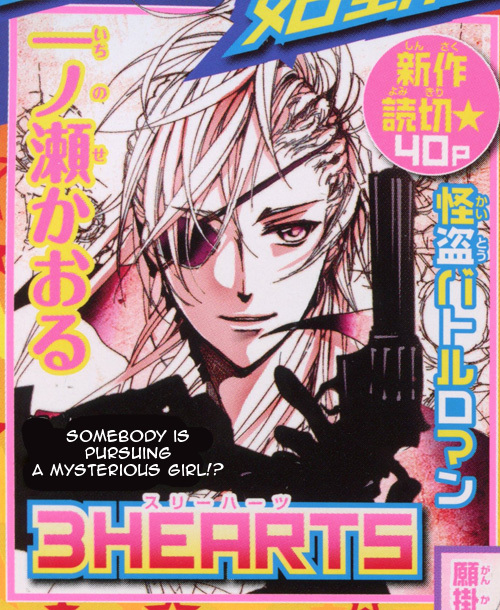 the artwork is pretty .. one question ….it is from ARIA ?? ＠Silver Lunar — ooh…sky pirates. Nice…that would be cool. Is it by a completely new author or does s/he have any past works? OMG! I can't stop drolling. This manga definitely caught my attention, the guys are sooo cool!